The course is open to at all levels of researchers: from PhD students beginning their career through to established researchers wishing to improve their skills. The standard fee to study each SysMIC module is £1,250 plus VAT. Access to required course software (including student MATLAB license). Access to the SysMIC course materials and electronic textbook. Personal tutor support provided through our course forums. A one day hands-on training workshop (held at University College London). BBSRC funded researchers are able to sign up for SysMIC modules for a discounted rate. MRC funded PhD students may be able to apply for the Doctoral training partnership supplement or use an RTSG fund to cover the SysMIC course fees.  In addition the SysMIC consortium provide a limited number of busaries to assist researchers who are unable to access full funding for the course modules. Please contact sysmic-team@sysmic.ac.uk for details.